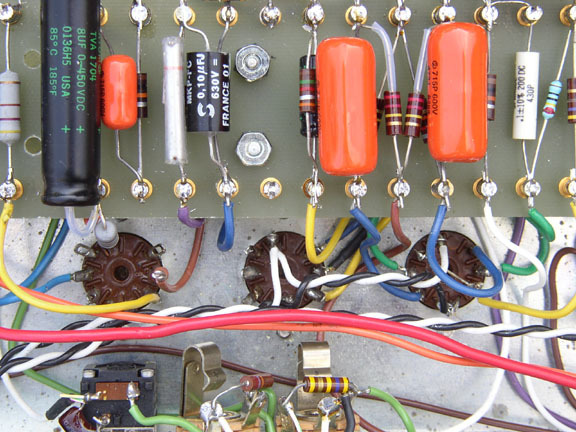 We believe you can’t properly fix an old amp without really fixing just about everything. A decent analogy would be something like replacing all the fan belts on your engine while your wheels are about to fall off. Before you know it, you’re broken down again. This doesn’t mean we go in there and replace parts simply because we like the smell of solder. Often times your coupling caps will last for a very long time, as well as the other passives in there. It is also common for your preamp tubes, however ancient they may be, to work as well or better than much of what is in current production today! Frankly we would rather not change components that are more likely to change the sound of your amp unless it’s absolutely necessary. When it is necessary we pay special attention to like, kind and quality. Musicians who are also amp techs work here, and we deal with many guitar & bass players. The reason we bring that up is because we want you to be aware that we have vast experience with the subtle differences between polypropylene caps vs. polyester films vs. mylar’s vs. silver mica vs. polystyrenes. Carbon composition resistors vs. metal film vs. metal oxide vs. carbon film. Same goes for preamp tubes; Sino vs. JJ vs. Sovtek, vs. Electro Harmonix etc., and so on. With resistors it’s not always just about the sound. Sometimes a wire wound is called for as opposed to a metal oxide or cement type (which will generally open up on fast transient current spikes) or where a flameproof is called for. Where a carbon composition is the more rugged & often smoother sounding for tube plate loads though typically a little noisier. Usually we can replace with something that matches the original in quality and character. On the other hand, we can sometimes make improvements by selecting the right dielectric style cap or composition resistor at a particular stage in the circuit. Substituting transistors and FET devices takes a lot of know how, experience and a huge data library! We buy most of our output devices in bulk and run them on a Semiconductor Curve Tracer for characteristic matching. There are a few basic packages and a handful of manufacturers that we prefer to stick with. 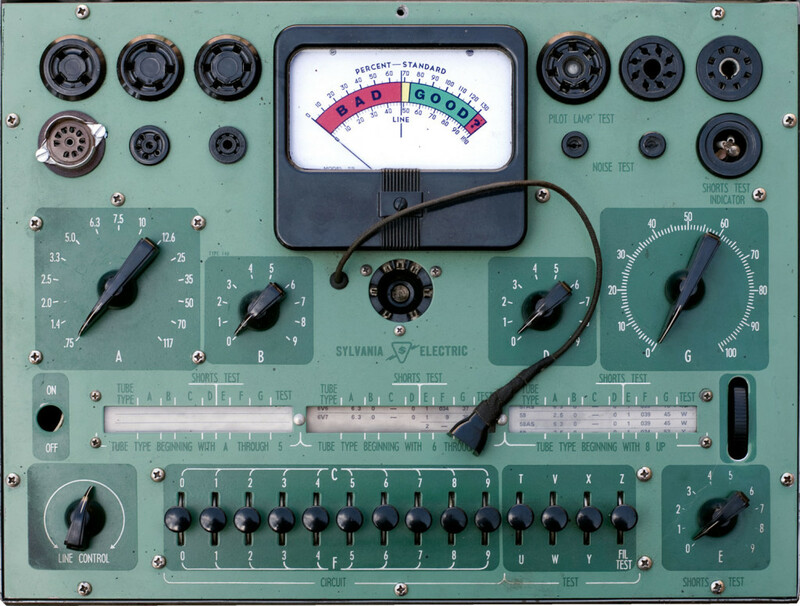 We believe our in house matching and selection of the right devices from preferred manufacturers has a lot to do with our low return rate in solid-state amp repairs. We maintain a healthy supply of vacuum tubes ranging from current production selected types, to a small variety of US and Foreign New Old Stock types. Many of our clients want the best and we try our best to deliver. We try to maintain a good variety for all situations. We purchase our power tubes in matched quantities and then we match them again on our own custom built rig. The world of vacuum tubes is not an easy one to keep up with these days. On one hand we are grateful to anyone who endeavors to manufacture vacuum tubes today, and on the other hand… it can be a real challenge to stay current with which brands are consistent from one production run to the next, and which perform well in various circuits. Our advice with buying tubes is: purchase them from the place that works on your amp. Ask for a guarantee! We give a 90-day parts & labor guarantee.